The majority of the best beaches in Lombok can be found in the far south of the island in Kuta Lombok. 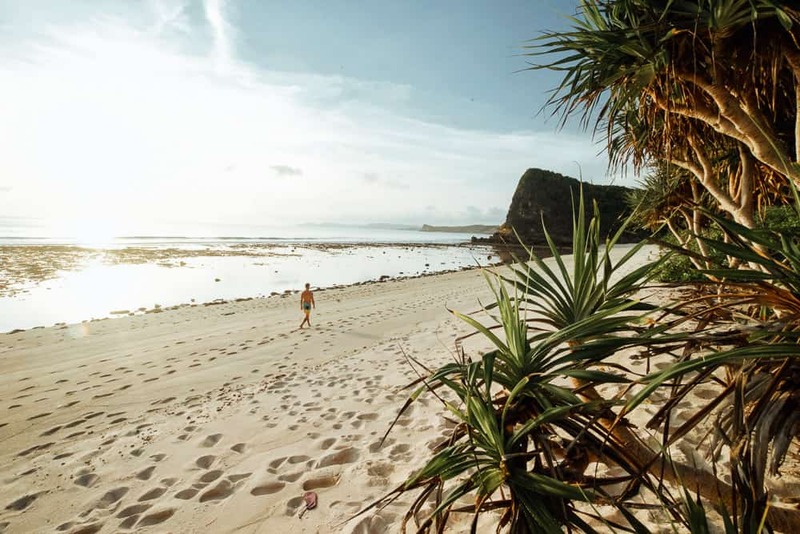 These beaches are among some of the most untouched and pristine beaches I have discovered in Indonesia. Here is an easy guide for how to get there and what to expect! 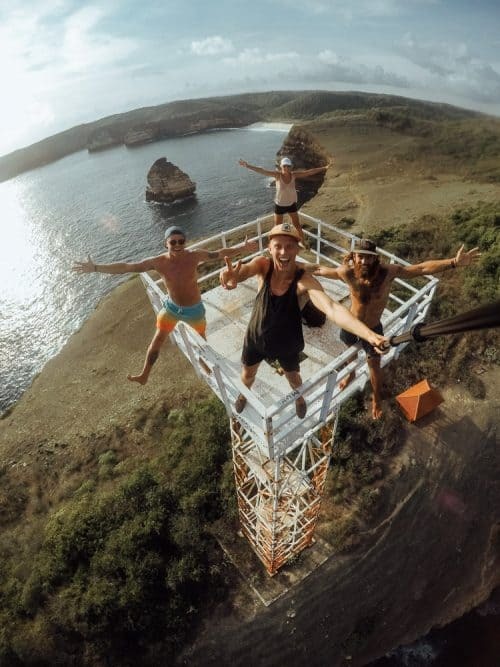 The most convenient way to reach Kuta Lombok is by plane. Direct flights to Kuta Lombok from Bali, for example, costs around $30. From Lombok Airport a taxi will cost you no more than 100,000 Rupiah and it is a 45-minute drive to reach Kuta Lombok. If you are coming from the north of Lombok after trekking Mount Rinjani, you can organise a driver and a van for the day which costs around 700,00 Rupiah. The drive from the north to the south is around 3-hours. However, we stopped into Central Lombok to visit some waterfalls, so the journey took us an entire day but I highly recommend visiting these waterfalls on your way through. I spent 3 days in Kuta Lombok exploring along the pristine coastline both east and west from the central hub. It is as easy as renting a scooter for IDR 50,000 per day and choosing which direction to drive in! 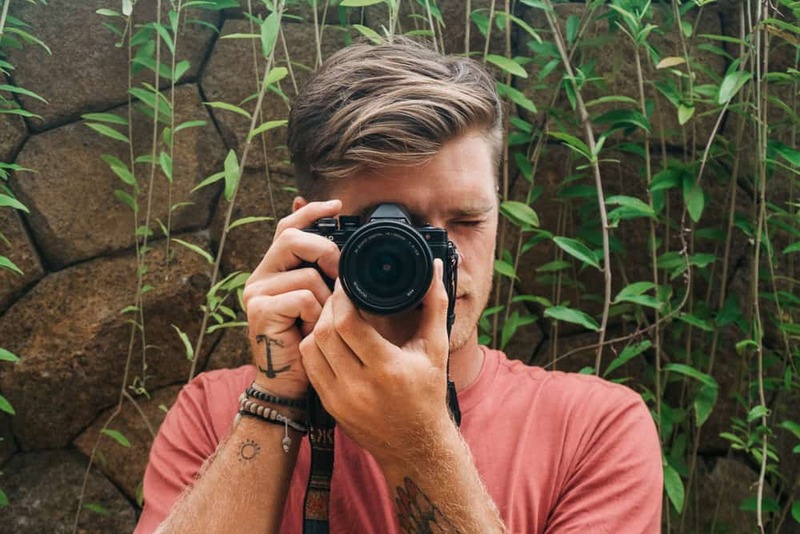 There are plenty of surf breaks to choose from and many surfboard rental shops in town that can sort you out if you are willing to get some waves. Be sure to rent a board from in town as there are no rental stores at the beaches. Seger Beach is only a 10-minute ride on a scooter from the centre of town. This beach is a great spot for a swim and a cold coconut from one of the beachside warungs. 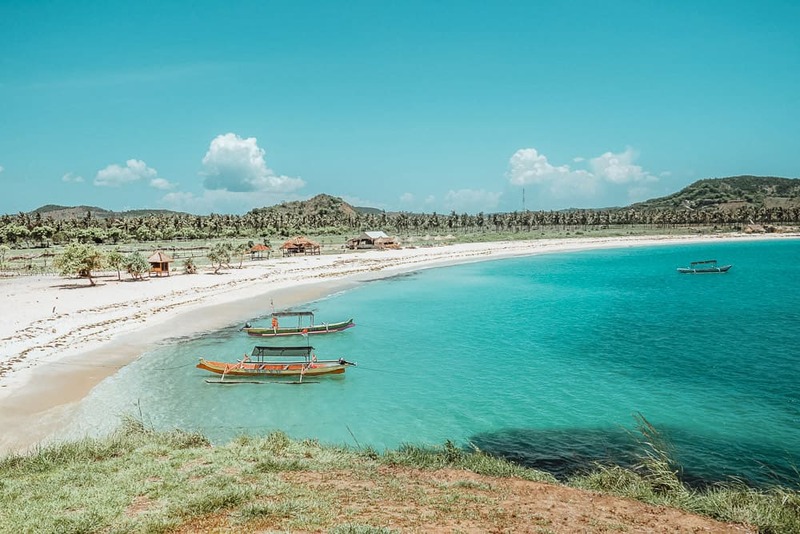 Seger beach is one of my favourite beaches in Lombok and a great spot to chill out for the day as you watch the world go by. Just over the headland is a popular surf spot, Seger Point. 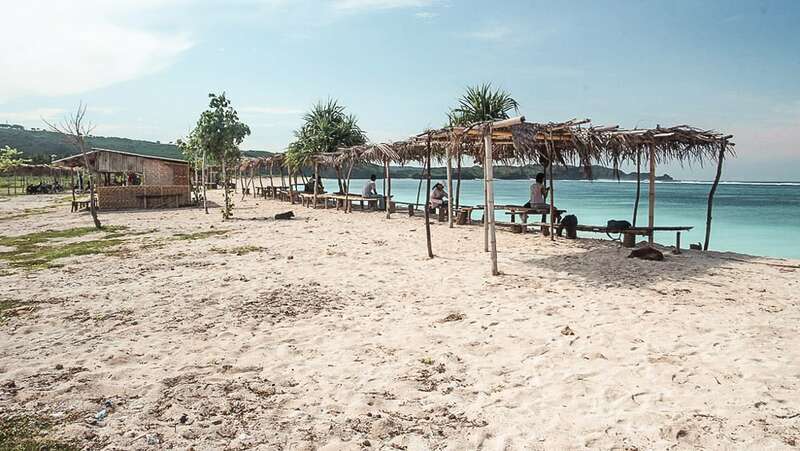 You can either ride around the corner from Seger Beach to Seger Point and pay a parking fee of 5,000 rupiah or take a short walk up and over the hill, through some cow paddocks and make your way down to Seger Point. Straw huts line the water’s edge on this beautiful beach, a perfect spot to perch up and gaze out over the ocean or paddle out on a surfboard to score some waves. 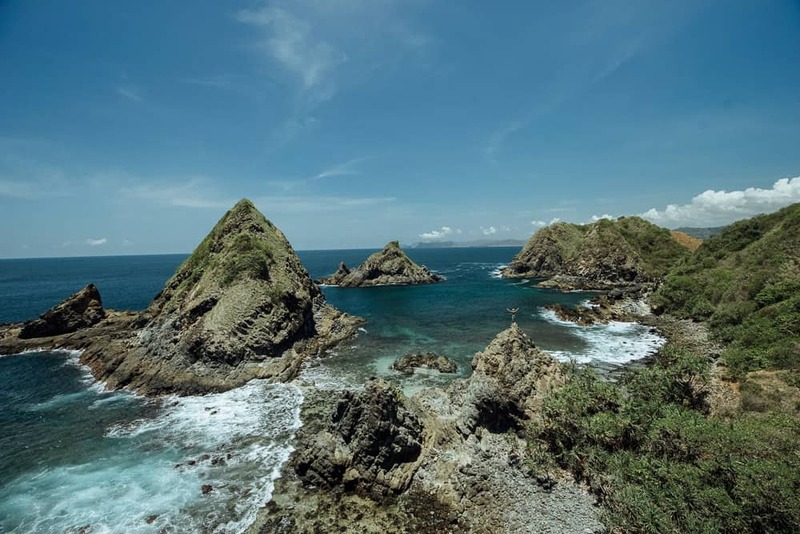 Jump back on your bike and drive another 5-10 minutes east to Bukit Merese, a popular sunset point with rolling hills and several small beaches and coves. After exploring Seger Point Beach, you can head east again on the bike for 2 minutes to where you’ll find a long stretch of white sand beach called Tanjung Aan. 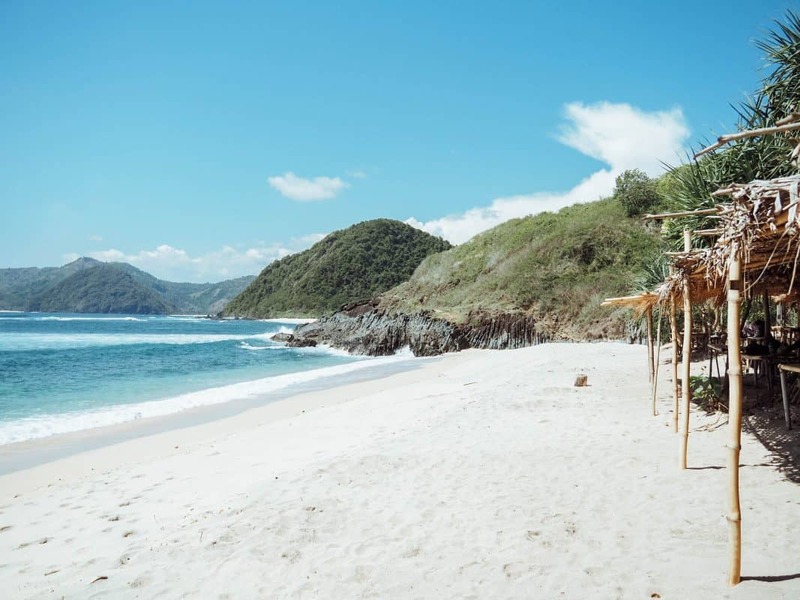 This beach looks like something you would see on a postcard and it’s one of the best things to do in Lombok. 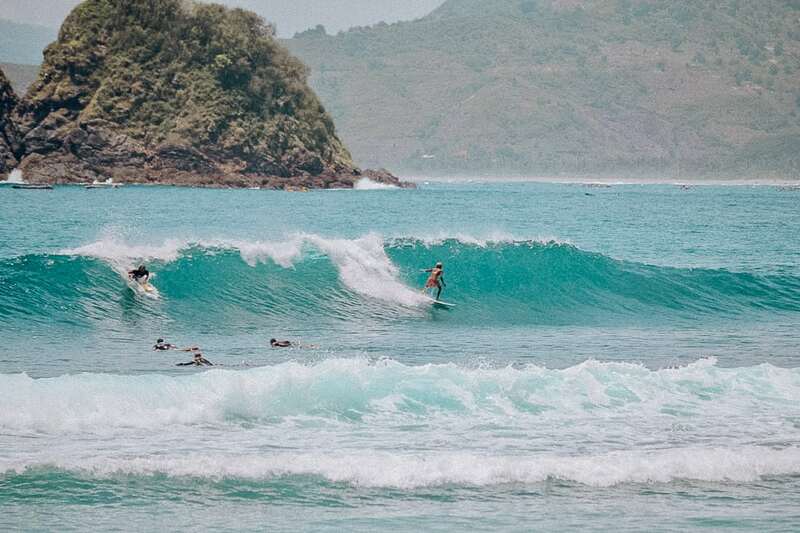 Further on from Tanjung Aan you can find Gerupuk Surf Beach, one of the most popular spots to surf in Lombok. 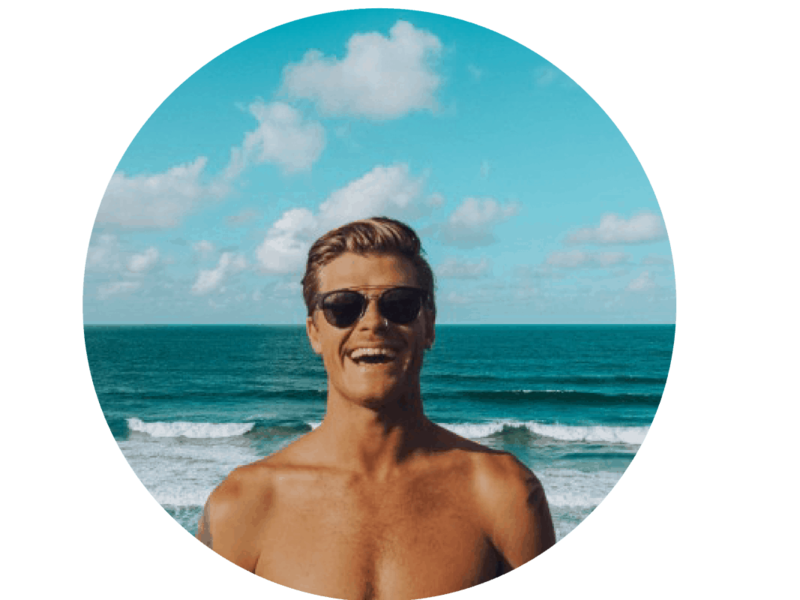 The surf breaks are quite far out to sea and you will have to organise a boat to take you out to surf the breaks. A boat ride out to Gerupuk surf break can be easily organised through any of the friendly local surf guides along the beach. Continuing on from Gerupuk you can find two beaches called Pantai Bilasayak and Pantai Teluk Ujung. This is a 30-minute drive from Gerupuk or a 1-hour drive from Kuta Lombok. This spot was quite difficult to find though with the assistance of google maps you should have no dramas. 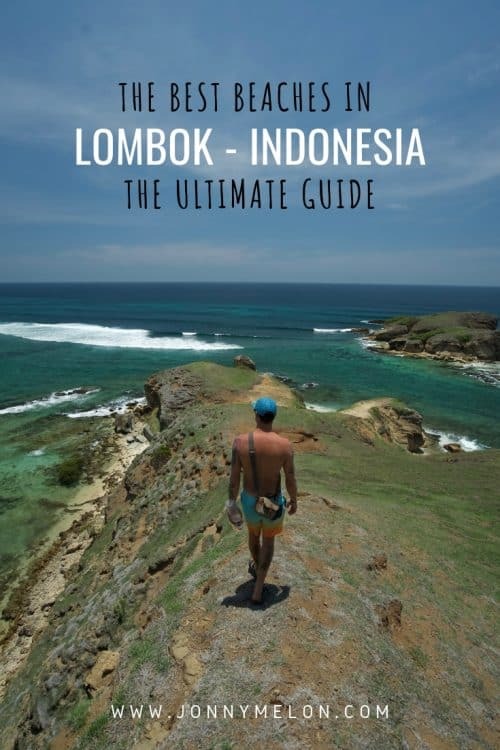 This location is off the beaten track and definitely worth adding it to your list of things to do in Lombok. These beaches are part of an environmental park and it wasn’t until we arrived that we found this out. The entrance fee is 100,000 Rupiah per person, but we arrived late afternoon and haggled the gatekeeper down to $7 for the four of us. To get to Pantai Bilasayak, take the dirt road to the left when you pass through the entrance gates, and follow it right to the end until you reach the ocean. This beach was deserted when we were there and a great spot for a swim on high tide. If you are seeking an adrenaline rush try to spot the “lookout tower” on top of the cliffs in the distance. To get to the tower, park your bike on the beach and trek for 10 mins along the rugged cliffs till you reach the tower. It is very rusty and sketchy but if you are an adrenaline junkie like myself it is worth the climb. The view from the top is spectacular. Head back on the same dirt track towards the entrance and before exiting take the dirt road that leads to the left. This track leads down to Pantai Teluk Ujung, another deserted beach with rock pools and an awesome spot to watch the sunset. 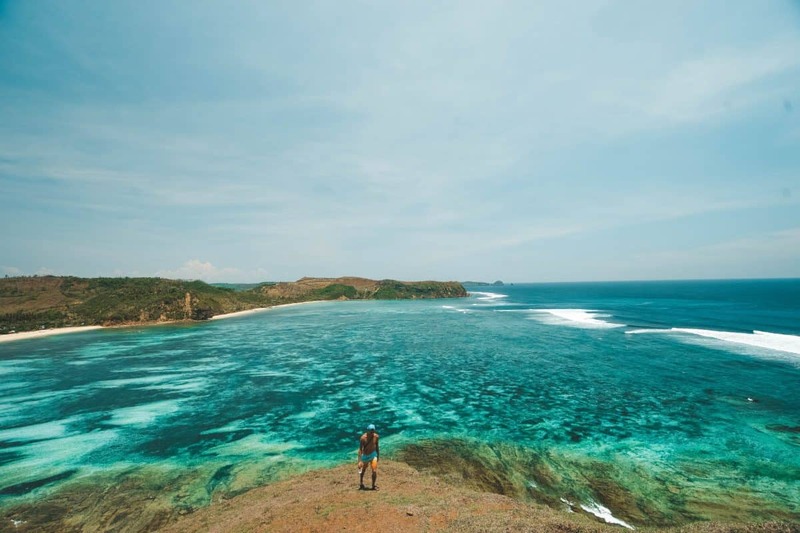 The drive to the west of Kuta Lombok is one hell of a scenic road along the southern coast, passing farmlands and coconut plantations that hug the pristine coastline. It’s about a 1-hour drive to three epic beaches that we spent a full day exploring. A freelance local tour guide Zilmi Zola joined us on our adventures and showed us some unreal locations. Pantai Telawas is a tucked away paradise with several coves, blowholes, caves and cliff jumps. We spent some time here in awe of the beauty that surrounded us. 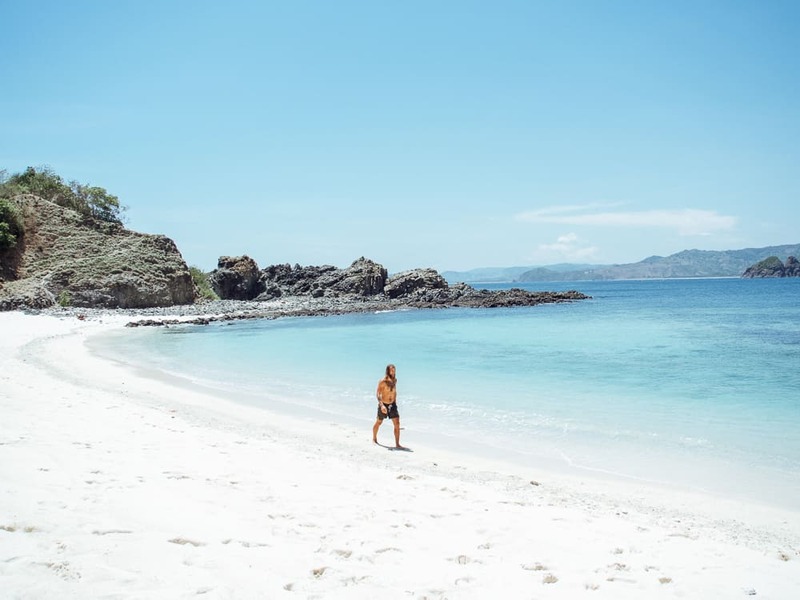 Exploring Telawas Beach was one of my favourite things to do in Lombok! Within walking distance from Pantai Telawas is yet another secluded beach. Pantai Semeti Beach will blow you away with its crystal clear water and blinding white sand. There were some small waves breaking over the reef here so we went for a body surf and then took some shade under the palm trees along the beach to get out of the scorching sun. On the other side of the headland is Mawi Beach and a favourite location of mine as a surfer! The waves here are as good as it gets when the conditions are right. The tropical beach vibes here at Mawi Beach are on point – with small bamboo huts and surrounding coconut trees, you’ll sure be in for a treat.